TEXT: Don't forget to choose a font from the 2nd image of the listing. 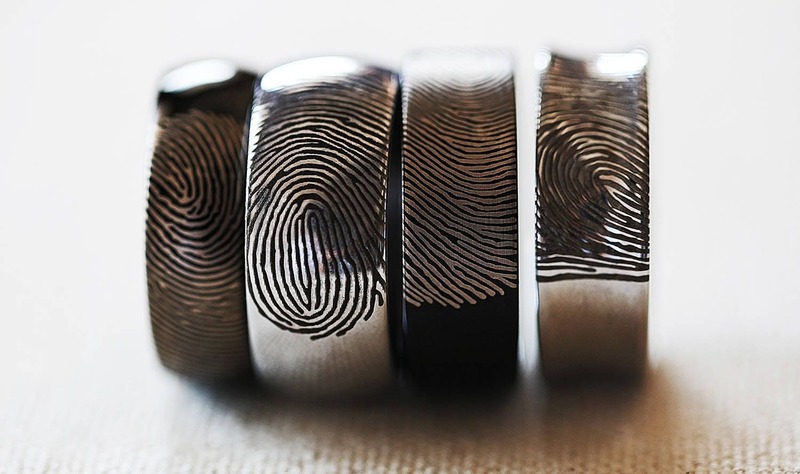 We can also simply engrave a logo showing just the materials of the ring (Ex: Koa Wood & Titanium). 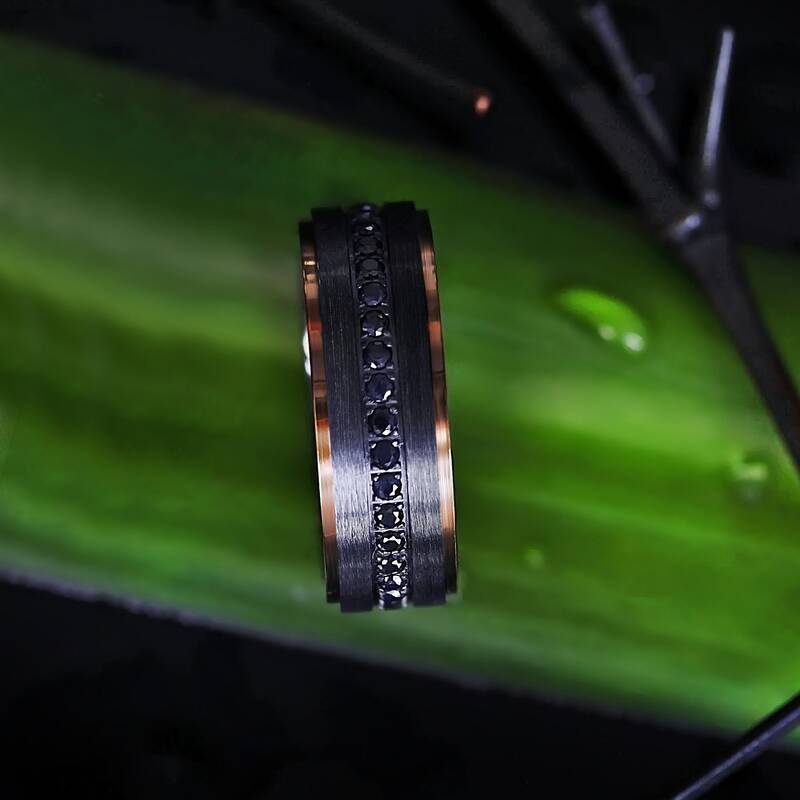 This is a brand new highly sought after black sapphire set wedding band! 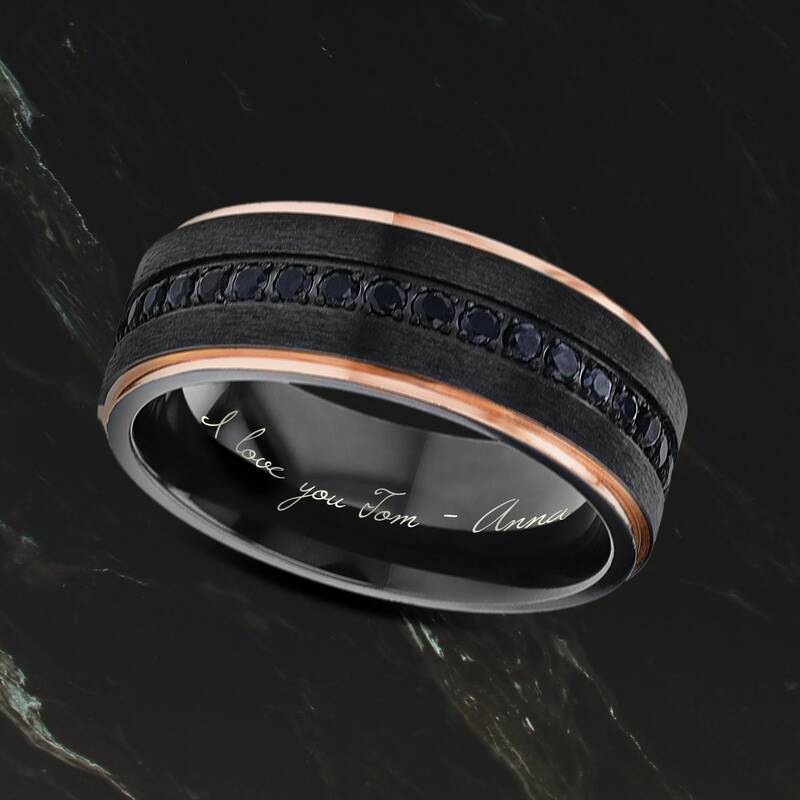 Complete with an inside custom engraving, this black titanium ring has a raised brushed center and beautiful polished rose gold edges. 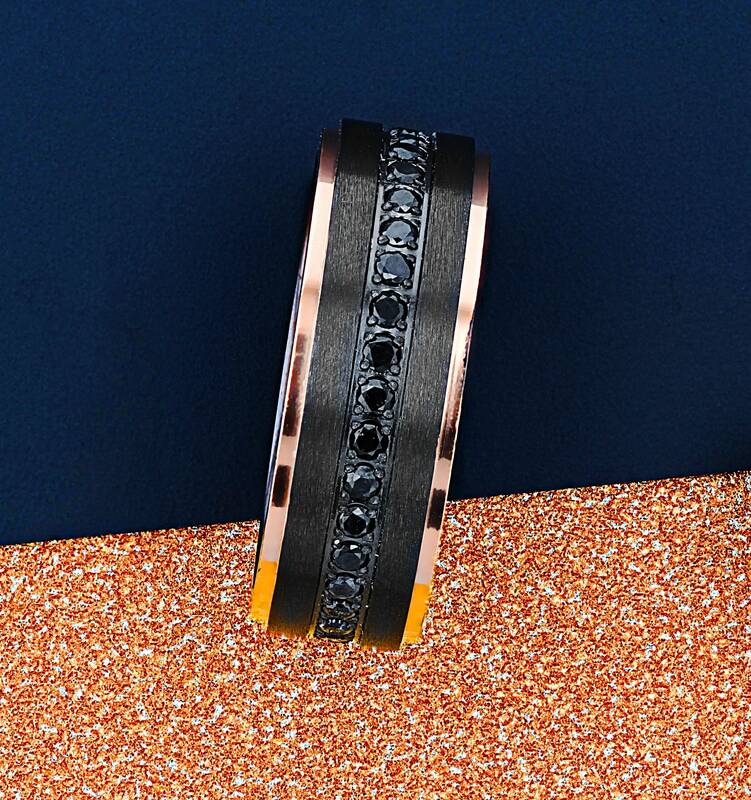 The rose gold edges glimmer in the light and play beautifully with the black sapphire gems. This ring is absolutely perfect!! It is more than I could have wanted for my fiancé and the engraving inside is a perfect replica of my handwriting! I do wish the engraving was slightly larger but other than that, it is so amazing. The pictures don’t do it justice. The fit is great and i cannot believe how easy the shop was to work with and how quickly we received it! 10/10 recommend!